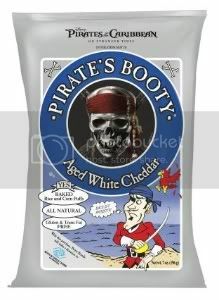 Snack manufacturer, Pirate's Booty, will have a rooting interest in this weekend's Kentucky Derby. The brand will sponsor contenders Uncle Mo and Stay Thirsty during the running of the 137th Kentucky Derby on Saturday. Pirate's Booty's largest shareholder, Mike Repole, owns both horses. Among other benefits, the Pirate's Booty logo will be displayed on jockeys John Velazquez (Uncle Mo) and Ramon Dominguez (Stay Thirsty) during the running which will be televised live on NBC. But this is more than a C-suite passion play. Repole, who earned a degree in sports management from St. John’s, is definitely no stranger to building brands through sports and entertainment. After co-founding Glacéau in 1999 with J.Darius Bikoff, Repole is credited for growing the Vitaminwater and Smartwater brands through partnerships with athletes and celebrities like Tom Brady, Carrie Underwood and 50 Cent. Glacéau was sold to Coca-Cola in 2007 for $4.1 Billion. Pirate's Booty is also looking to expand its brand with partnerships outside of sports, recently announcing a collaboration with Walt Disney Pictures and Jerry Bruckheimer Films’ Pirates of the Caribbean: On Stranger Tides. The partnership will include a packaging promotion with the film as well as a Caribbean vacation sweepstakes. This weekend, the focus will be on the Kentucky Derby however. "We, at Pirate's Booty, are excited for millions of viewers to experience the Pirate's Booty brand in such a high-profile and fun way on two outstanding horses," said Eric Berniker, Pirate's Booty's vice president of marketing. "The Kentucky Derby epitomizes the fun traditions that we all love to celebrate and this year we're hoping to start a new one -- Mint Juleps, Kentucky Hot Browns and Pirate's Booty!"